It would be really awesome if this were to be released on vinyl. Please. I'm really hoping this gets the Miles Showell / Abbey Road "Half Speed Mastering" treatment across three 180 gram disks. Windows installer still works too this day, on Windows 10. Be sure to install Quicktime though. This is so awesome! Words cannot describe how happy I am, either! WOW!! It is in Dolby Digital 5.1. I would have preferred a more active, discrete use of the rear channels. They are used for the audience, but this is a minor thing. Nearly every track does use the surrounds to open up the soundstage. It sounds fantastic cranked! Definitely Epic!! epic live recordings of their finest materials that stands the test of time. only missing 'dark train' in the dark & long mix. Honestly, even being the huge Underworld fan that I am... I've got better Underworld live on some awesome bootlegs. Not to say this album isn't good, I've just heard some other live verisons of these tracks that were on a whole different playing feild. Have to say I watch the DVD more than I listen to this CD. This release requires your full attention; as background music it can easily become annoying, but when you really concentrate on the sound it's terrific. However, just for that reason I cannot listen to it too often, but from time to time this release can be quite relaxing. By far this is the best underworld cd thats come out. The live tracks make this cd one of akind. The only thing that is better is the DVD which i have. 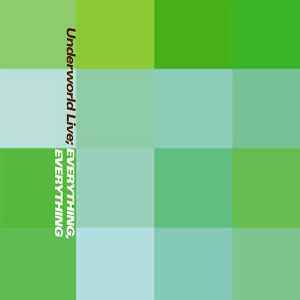 If you have not seen underworld live go out and get this DVD this is a collecter item. as the CD/DVD says: the definitive underworld live experience. from the world's greatest live act comes a pulsating, captivating set featuring some of their best work. the live takes on the album songs make for a superb compilation.